As we come to the end of the holiday season I have been thinking a lot about the people who I have encountered throughout the last year. This in turn got me thinking about how many people we come into contact with as we journey through our lives. On Wednesday (3rd Jan) two of the incredible young people who attended our first Australia/New Zealand youth camp in Queensland last January met with me again here in Scotland with their lovely parents. We had lunch and chatted about everything and nothing. I can’t tell how much it means when families that we have worked with reach out to say hello just because they are nearby. We are absolutely here to help young people and families when things are bad but it is also a privilege to be able to share their happy times to. In a few days’ time, I head off to Australia for our second Australia/New Zealand young camp and I’m excited to meet up with our fantastic staff and volunteer team, returning and new campers. The camps and events that HDYO run are only a small part of the work that we do and each has its merit, achievements and stories. The impactful element of in person work is the connections that are made but everyone who attends. 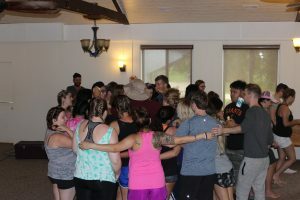 The science of connection is an evolving piece of work and shows that we need to get more connected not less. We need to spend time with people, hug more (did you know that there are scientifically proven health benefits to hugs?) and listen!!!! However, it is a changing world and we need to adapt to that change and ensure that we still make connections, even virtual ones, powerful and impactful. We need to make sure that children and young people know the difference between true reality and the reality portrayed on social media, are we equipping them with the skills, attributes and resiliency to be able to deal with the “real” world. 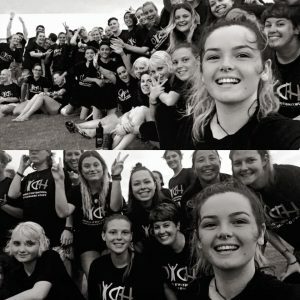 HDYO was founded because we needed more people to listen and hear what was happening to young people impacted by HD and its been an exciting journey that has seen us reach people in over 70 countries, help change attitudes, encourage changes in clinical practice and build new connections where previously there wasn’t seen to be a need. By working with children, young people and their parents/guardians we can help build the resiliency that they need to deal with HD and differentiate between real and fiction. Age and stage appropriate education is one element of that build process but we need to use tools like empathy, understanding, patience and nurturing to set the foundations solid. HD is a difficult journey and one that we don’t have to take alone. The HD community is a small but powerful, understand and supportive community. We are all connected by many commonalities; HD, caregiving, surviving, testing, not testing, successes, failures, love, loss etc we all have a story. We invite people to share our journey through our stories so I encourage you all to tell the true story not the sugar coated polished story. Life is not all good times but it is in our darkest times that we can see the most light. People always learn more from one another when we get personal and true. It’s your journey make your connections count!